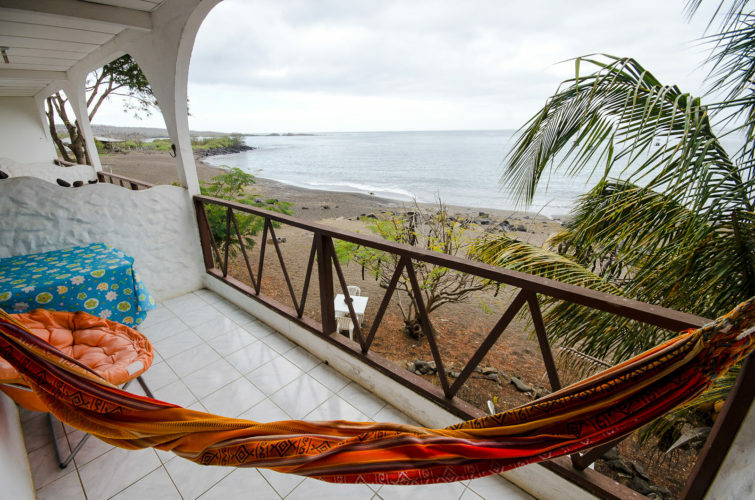 Contrary to what the photos in this post may have you think, we are not on “hammock time”, although we do liberally take time to respect the hammock. We’re on Galapagos Time (GALT), of course! But it gets a bit tricky determining what the hour difference is between your home and the Galapagos, because the Galapagos Islands do not recognize daylight savings. 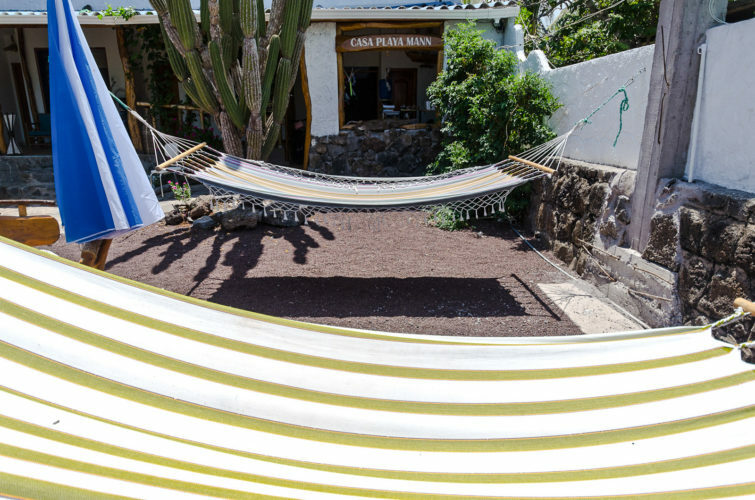 Hammock time on Floreana Island, which is really on Galapagos Islands Time (GALT). No shifting clocks ahead or back an hour here. We keep things steady all year long. The same goes for the rest of Ecuador, which is on Ecuador Time (ECT) all year long. The Galapagos are 1 hour behind the rest of Ecuador. So if it is 5pm in Quito, it is 4pm in the Galapagos. For North American friends, from March to November, after clocks “spring forward” for you, the islands are on the same timezone as Alberta and Colorado, or Mountain Time. From November to March, after clocks “fall back” for you, the Galapagos is on the same time zone as Manitoba and Illinois, or Central Time. The official UTC/GMT zone difference for the Galapagos is UTC/GMT -6. For mainland Ecuador (Quito, Guayaquil, etc) it is UTC/GMT -5. Of course you can always google “current time in the Galapagos” if you forget this information. Use this handy link to the World Clock – Galapagos Islands to see what the current timezone difference is for the Galapagos compared to cities around the world. 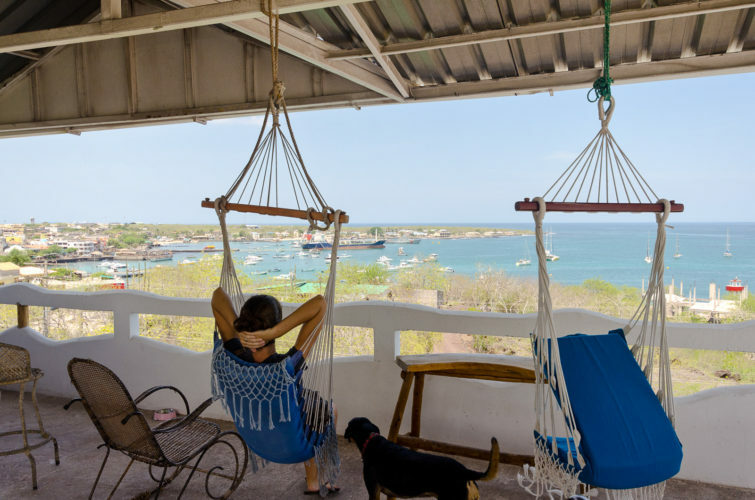 Hammock Time on San Cristobal Island. 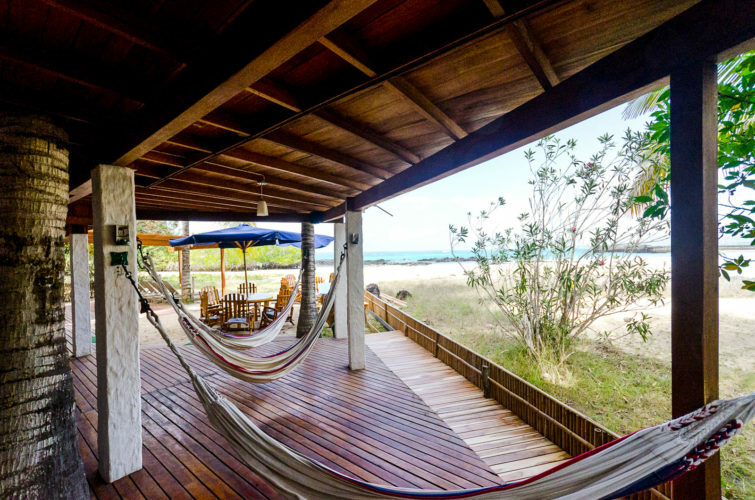 Who needs a siesta? Beautiful pictures. I didn’t know the time zone. Looks beautiful in any time zone…. Would love to visit these places!